The combined power of the IEC's three sponsoring associations help guide the IEC in providing resources to enhance education. Each association is represented on the IEC Governing Board. The Illinois Association of School Business Officials is devoted to the school business management profession. Their mission is to provide our members and stakeholders with a comprehensive range of professional development activities, services and advocacy through networking and participation. 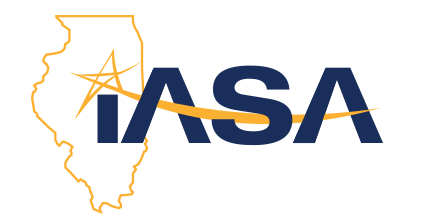 The Illinois Association of School Administrators (IASA) is the state’s premier advocacy organization for school administrators with more than 1,750 members and a history of promoting excellence dating back to 1946. The guiding principles of the IASA are expressed by its vision of “Maximum Educational Excellence for all Students,” and its mission statement, “To support school leaders in the pursuit of educational excellence through continued school improvement.” IASA offers a variety of professional enhancement and resource services to its members including professional and legal assistance, governmental relations, professional development programs and conferences, communications services, a mentoring program, newsletters, a job bank and networking. The Illinois Association of School Boards is a voluntary organization of local boards of education dedicated to strengthening the public schools through local citizen control. Although not a part of state government, IASB is organized by member school boards as a private not-for-profit corporation under authority granted by Article 23 of The Illinois School Code. The vision of the Illinois Association of School Boards is excellence in local school governance supporting quality public education.